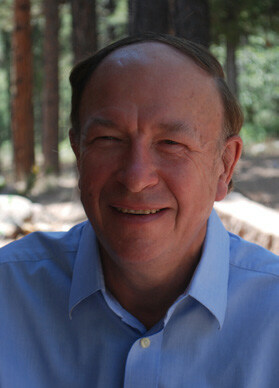 John Stiff (now retired) is a registered professional engineer in Texas and a chartered engineer in UK. He has over 35 years of experience in consultancy to the offshore oil and gas industries. He started work with Noble Denton, London in 1976, in a largely office based role, but after moving to Houston in 1980 his role expanded to include offshore activities as well (MODU rig moves, load outs, accident investigation, etc.). This offshore work enhanced his understanding of marine operations and gave him a clearer view of what goes right - and particularly what can go wrong - during marine operations. The next logical step in his career was the move to risk analysis where the value of this practical experience was maximized. In 1997 he transitioned from Noble Denton to ABS where the scope of risk studies in which he was involved expanded to include wider range of ship and tug operations – particularly FPSO and LNG operations. Jack-up analysis and operations have also been an integral part of his career and he is still actively involved in the development of International Standards for jack-ups. Established by the Executive Committee in 1979. The award will be for "Outstanding Accomplishment in Ocean Engineering." The title will be "The Blakely Smith Medal." The medal will be made of gold-plated bronze, approximately 2 1/2 inches (6.25 cm) in diameter, the obverse side showing a likeness of Blakely Smith and the reverse side carrying an inscription of the award centered between a pair of dolphins. Eligibility for the medal need not be limited to membership in the Society. The proposal for award may be made by a member of the Society in good standing. The selection of the nominee for the award shall be made by the Awards Committee of the Society. The nomination by the Committee and final award by the Council will require a two- thirds vote of the Committee and of the Council. Notification of the award will be made prior to the Annual Meeting and the medal will be presented with suitable ceremonies at the Annual Meeting or at such time as the President of the Society may arrange. The medal may be awarded biennially but not more often. 1999 William T. Bennett, Jr.